Prepare Your Lawnmower for Spring | Inspect A Home, Ltd.
Spring is a time of the year when many homeowners begin to get ready for the warmer months. As a homeowner, you are likely working on many tasks in order to keep your home orderly and neat. With the grass growing back in full force, it’s time to think about keeping a well-maintained yard, which begins with your lawnmower. Consider the following four tips to prepare your lawnmower for spring. A dull blade will not be very effective in cutting your grass neatly. 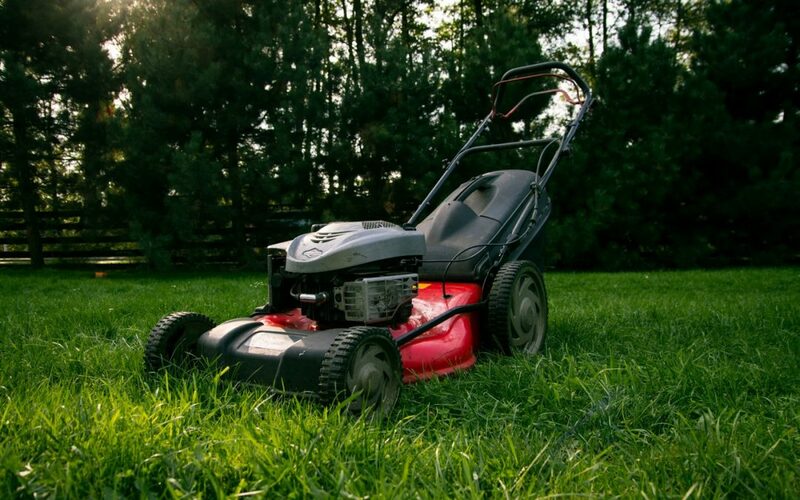 Spring is the perfect time to sharpen your mower’s blade in order to get it ready for the high volume of grass that will be cut in the following months. Make sure you take all the manufacturer’s safety precautions before sharpening the blade or contact a professional to help. If the blade is badly worn, consider replacing it for optimal performance. If you have not done so already, make sure you allow the old fuel from last fall to run empty or drain it. Do this before the first cutting job of the season. Your lawnmower’s engine will perform much better with clean, fresh fuel. Stop by the store and pick up a fuel additive for more efficiency to prepare your lawnmower for spring. To begin with, use pressurized water to remove all extra grass built up on the exterior of your lawnmower. It may be difficult to get some of the grass off, so you may have to use a putty knife for certain areas. You can add a coat of wax if you would like. However, a good time to put wax on the lawnmower is before you put it away for winter. This will prevent rusting. It is likely that you put your lawnmower away last winter without looking under the cover. Just like your car in the driveway, the lawnmower’s engine should be cleared of any debris like leaves and grass. Your lawnmower will operate smoother and sound much better without unnecessary items clogging around your engine. Having a functional engine is necessary to prepare your lawnmower for spring. Examine your spark plugs and notice if any of them are corroded. Ineffective spark plugs will cause your engine to malfunction. Further, your fuel could be used up much quicker as a result of gasoline being burned inadequately. Before you use your lawnmower this spring, do not forget to check the spark plugs. By taking the following tips into consideration, you will have a much easier time keeping your yard maintained all spring and summer. As an added benefit, you will have one of the nicest looking lawns on the block. Inspect A Home, Ltd. offers home inspection and testing services to Westchester and Fairfield Counties in New York. Contact us to schedule an appointment.